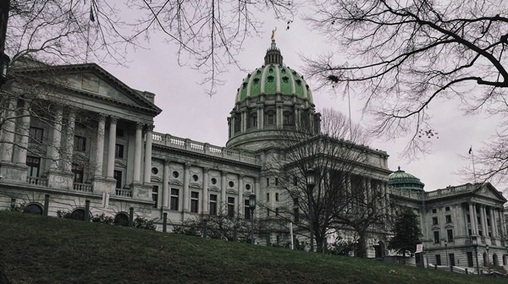 HARRISBURG (WSKG) — A rating agency has deemed Pennsylvania’s credit stable. That’s an improvement from several months ago, when the commonwealth received a downgrade from a different agency in the midst of an extended budget impasse. But it doesn’t mean the fiscal woes are over. Even though Fitch Ratings’ has taken Pennsylvania off its Rating Watch Negative list, it still has a negative outlook. Fitch analyst Eric Kim said while the commonwealth has a healthy amount of fiscal flexibility, is has almost no reserves, and recent budgets have included little recurring revenue. That means it’s vulnerable if the economy takes a turn for the worse. “The state is moving in a negative direction in terms of its rating, so there’s a likelihood that the rating could be downgraded if that trajectory isn’t changed over the next one to two years,” Kim said. He also noted a “particularly contentious decision-making environment” among Pennsylvania’s weaknesses. “I mean we’ve had three years in a row where we’ve had late budgets. For us, that’s indicative of a pretty challenged policy-making environment,” he said. Joe Markosek, the Democratic chair of the House Appropriations Committee, said he’s not optimistic that will improve–particularly in 2018, a big election year. “This is my seventh year as chairman of the appropriations committee, and we haven’t really gotten together to do the right thing in those entire seven years,” he said. The state’s Independent Fiscal Office has already projected lawmakers will start off with a billion dollar imbalance when putting together next year’s budget.